In fact, check out this tasty recipe that packs in 30 grams of protein. This simple breakfast only takes five minutes to prepare the night before and whips up in seconds to keep you full and focused! 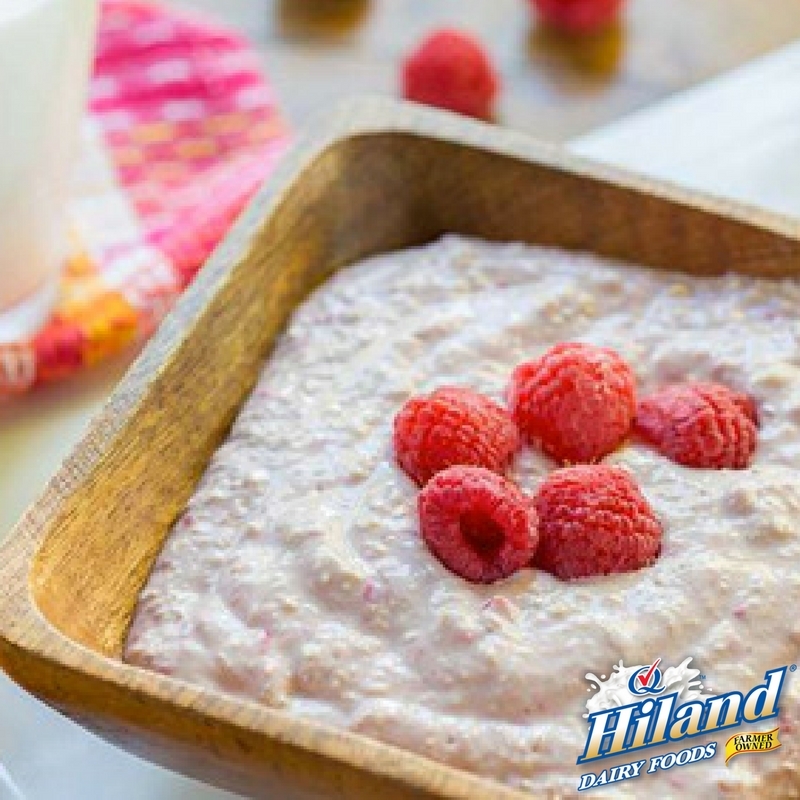 Combine oats, 1/2 cup milk, Greek yogurt, raspberries, chia seeds, salt and vanilla extract in a blender and allow to soak overnight (or a minimum of 4 hours) in the refrigerator. In the morning, pulse the blender a few times until the oats are just whipped together and raspberries are puréed. Transfer to a bowl and garnish with additional raspberries and toppings of your choice. Serve with an 8-ounce glass of milk.